AskMeBazaar Online Shopping is an effort to recreate the great Indian shopping experience online. Defined by its simple, it has easy to use buying process with basic Indian features, a bazaar with many stores from across India. Buyers can view products from multiple stores and buy their choice of products with great value offers from the stores of their choice. AskMeBazaar has come up with Navaratri Sale this October 2015. Now you can get Flat 30% off on orders worth Rs.500 or more. Offer Valid till - 31 October 2015. 2. Buy products worth Rs.500 or more. 3. ApplyAskmeBazaar Promo code/coupon code 'DIWALI30' to get flat 30% discount on orders worth Rs.500 or more. AskMeBazaar has come up with Diwali Sale this October 2015. Now you can get Flat 50% off on Fashion. Offer Date - 13 October 2015. 1. Visit AskMeBazaar offer page here. 2. 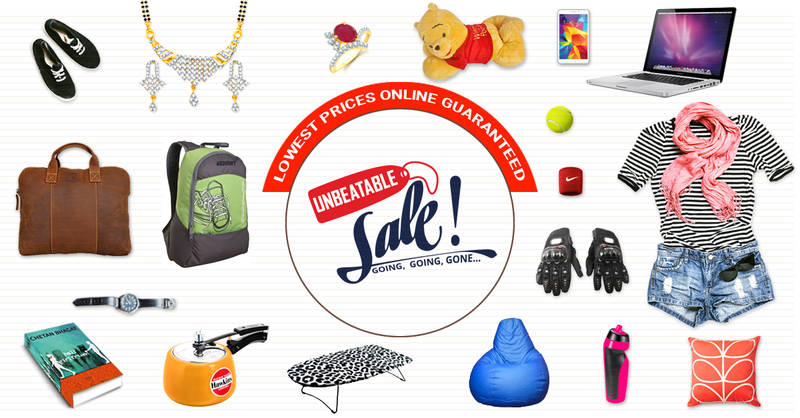 Add products worth Rs.999 or above in cart. 3. Apply coupon code 'OCT200'. 4. Fill in other details like delivery address, contact number and proceed with payment to get flat Rs.200 off on your order. 1. It is a limited time offer. 2. Coupon code is valid on all items. 2. Add products worth Rs.1599or above in cart. 3. Apply coupon code 'OCT499'. 4. Fill in other details like delivery address, contact number and proceed with payment to get flat Rs.499 off on your order.